What needs to be in my spa’s employment contract so that I am legally compliant? You have the right candidate with the right skills for your Spa’s requirements and now you are ready to offer employment to the potential candidate. Let us get down to the nitty gritty. Although a verbal contract is legally binding, I am a typical HR person and prefer a documented written contract as you enter into an employment relationship and in so doing, making it water-tight for both parties. 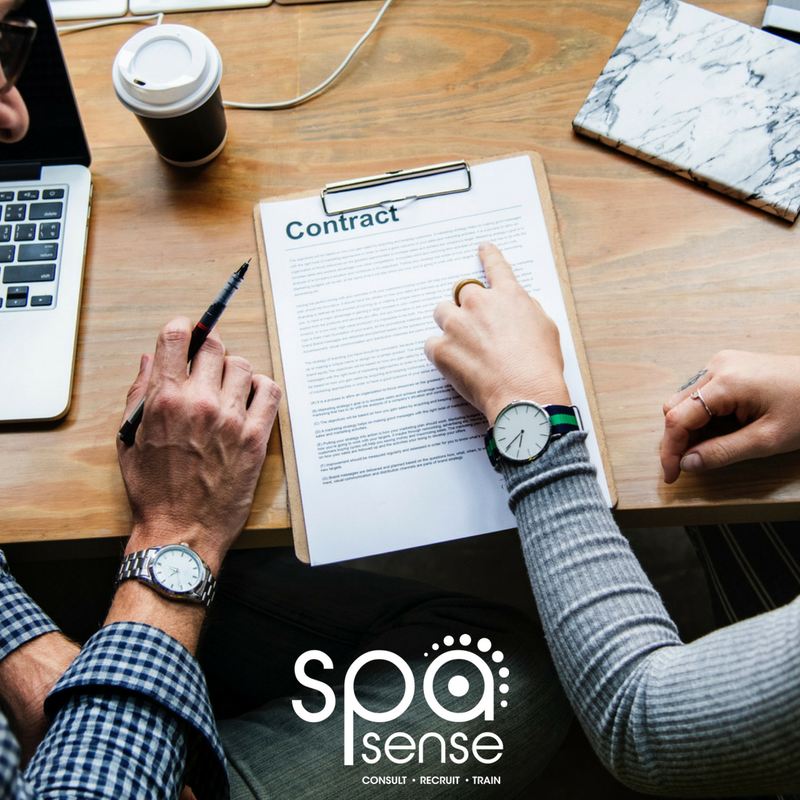 An employment contract is a legal requirement which documents and governs the employment relationship between the Employer and Employee it also protects both parties should there be any breach of contract. Description of any applicable Bargaining Council if applicable to the industry. If an Employer is silent on any of the rights and obligations of the Employee in the Employment Contract these are also known as ‘core rights’ under the BCEA (Basic Conditions of Employment Act) they will automatically form part and parcel of the agreement regardless. If YOUR Employment contracts lack some of the above requirements, give us a call and we will refine your employment contracts for you. We will help you to ensure that your Spa will be a Compliant Employer!!! Spa Sense is here to help YOU we are PASSIONATE about PEOPLE and we WILL ensure that you are sorted from a compliance perspective…. give us a shout on 072-087-9633 or email leanne@spasense.co.za and we will do the rest. Let us take your HR to the next level….and ensure that you are HR compliant. *Spa Sense will assist with Employee Induction & Orientation Program’s, Disciplinary hearings, Grievance matters, Employment contracts, Policy formulation, Performance Management, Performance Enhancement Programs, Employee Recognition Programs, Change Management, Employment Equity reports, WSP/ATR submissions, Labour Consultation & advice/support.